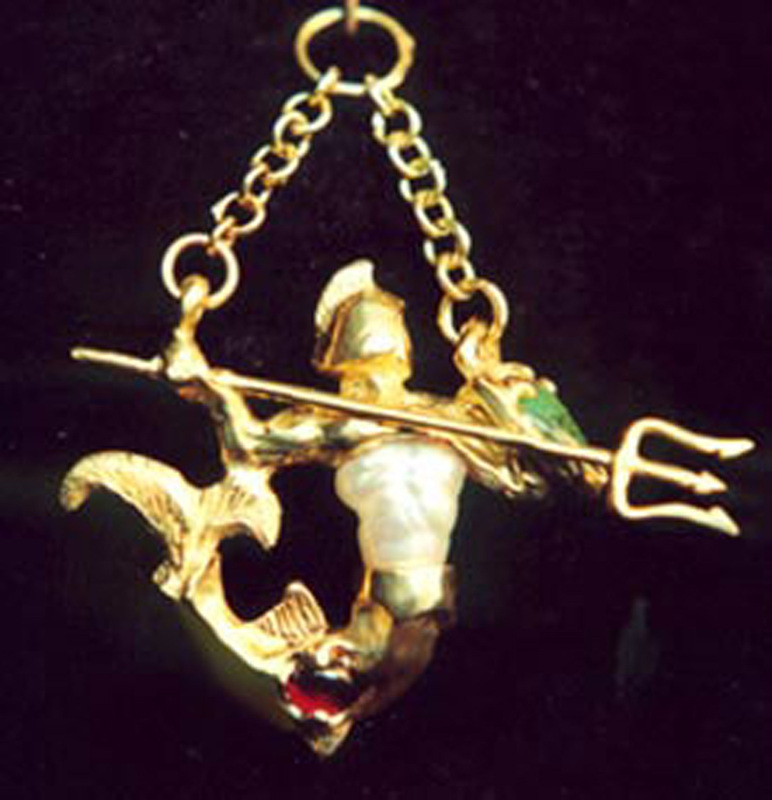 Throughout Europe in the renaissance personal jewelry became more elaborate. Those who could afford it hired the best craftsmen to create fanciful ornaments and household items. New styles flourished, borrowing from both the ancient world, and the Far East. 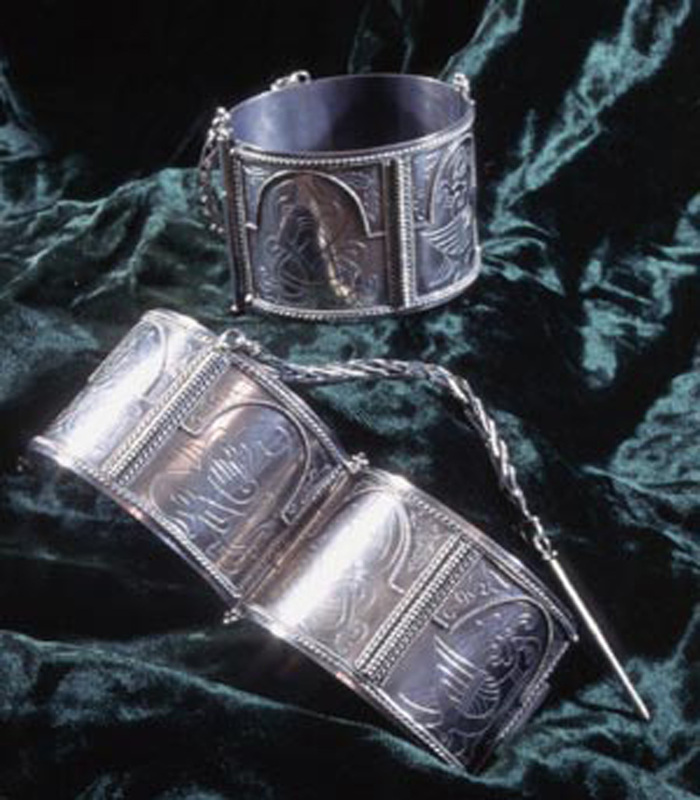 These silver sleeve cuffs hinge open, and are fixed with a pin on the end of a loop-in-loop chain. They were a custom order, and feature lots of decorative wire andengraving. In Scotland the wearing of the tartans became emblematic of national pride, and large brooches held up all that plaid. 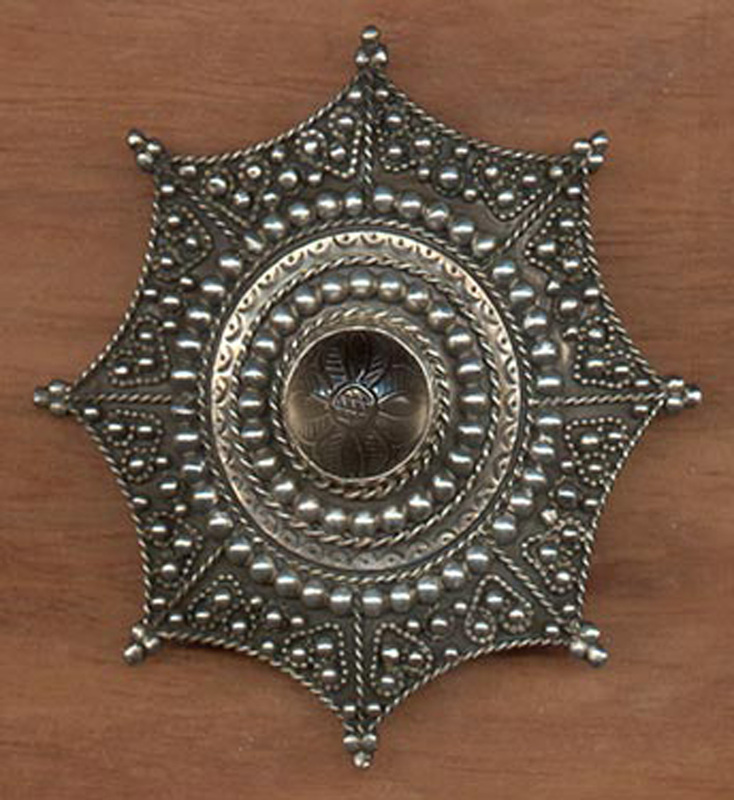 This one is over 100mm across, and is set with a beautifully carved, smokey colored rock crystal. 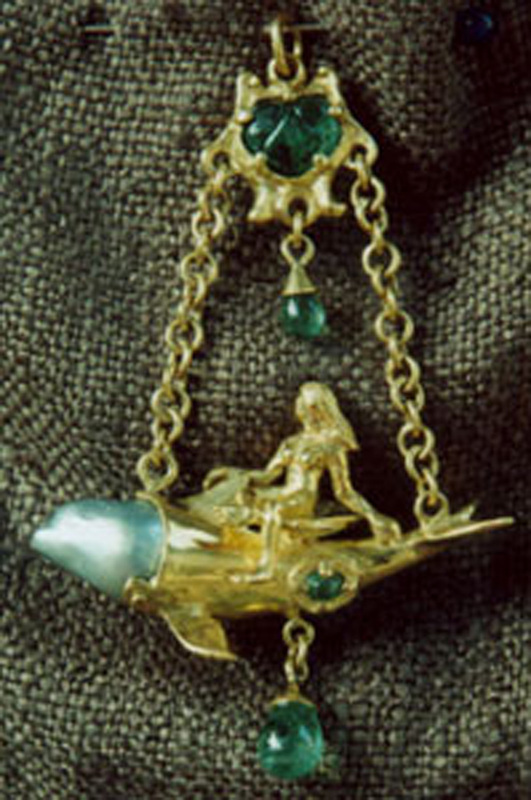 In Southern Europe unusually shaped pearls were fashioned into fanciful jewels. This Triton is small, but uses its pearl to great effect. The sad story of this piece is that it was purchased as a gift, and greatly loved by the recipient, and later stolen, along with her clothing and other jewelry. If anyone sees this jewel, please contact both me and the local authorities. I would very much like to see this returned to its owner.